Celebrating its landmark fifth year at the prestigious Fairmont Makati, the Philippines Property Awards 2017 is presented by title sponsor Kohler. The annual event is part of the highly successful Asia Property Awards series held across ASEAN every year. The annual event is the culmination of the hard work exhibited in the past 12 months by the Philippines’ leading property developers, interior designers and architects throughout the archipelago’s established and emerging property markets, including Mega Manila, Cebu, Iloilo and Davao. The black-tie gala dinner is attended by some 300 industry-leading figures and C-level executives, architects and designers, suppliers, construction and real estate professionals from the Philippines and abroad. Each event begins with a two-hour international cocktail networking reception, followed by a lavish four-course dinner, and the awards ceremony. Previous VIP guests and keynote speakers include former Senator Franklin Drilon and Tourism Secretary Ramon Reyes Jimenez Jr. In 2016 the gala dinner was held on 7 April at Fairmont Makati, where Megaworld Corporation collected the Best Developer (Philippines) award, and SM Prime Holdings, AppleOne Cebu Properties and Vista Land Group received multiple accolades, including one for Vista Land chairman Manny Villar for Real Estate Personality of the Year. A total of 27 awards were presented to 17 shortlisted developers, out of 200-plus entries received during the six-month nomination period. The annual event receives wide national and international acclaim through influential media outfits including Property Report, the official media partner, as well as PropertyGuru’s market-leading property portals in Singapore, Thailand, Indonesia, Malaysia and Vietnam, which are used by more than 23 million real estate consumers. The fifth edition of the Awards will be presented to the media via a press conference at Fairmont Makati on 31 August 2016, followed by a launch party in Cebu on 1 September. The gala dinner will take place on 4 May 2017, once again at the Fairmont Makati. All entrants to the Philippines Property Awards are nominated by a third party, including industry peers, professionals, consumers and the general public. Entry is free. To ensure fairness and transparency for which the Philippines Property Awards is known, eligible entries are rigorously and fairly judged by an independent panel of industry experts, who conduct site visits to long-listed developments in order to determine the official shortlist of nominees comprising one Winner and up to four Highly Commended in each category, covering the condominium, housing, villa, hotel, office and retail segments. BDO, one of the world’s largest accounting and auditing firms, is the long-time trusted awards supervisor of the Asia Property Awards programme. The Philippines Property Awards promotes the country’s best current developments and latest innovations to a wide international audience across Southeast Asia. The ‘Best of the Best’ winners from the Philippines compete in the regional grand finals at the South East Asia Property Awards, held annually in Singapore, opening up their businesses to new audiences around the region. Ayala Land Inc, who won 2014 Best Developer (Philippines), was also named Best Developer (South East Asia) by the Judges of the South East Asia Property Awards 2014. Originally launched by Ensign Media in Thailand at the height of Asia’s property boom in 2005, the Asia Property Awards debuted its national event in the Philippines in 2013. The programme celebrated its 10th anniversary in 2015 with the introduction of national awards programmes in Indonesia, Myanmar, Vietnam and Cambodia, ensuring that all the established and emerging markets in ASEAN are represented and recognised. The Awards in 2016 also featured prominently at the inaugural Property Report Congress Philippines, a high-level conference joined by past and current Winners and Judges of the Asia Property Awards series, and up to 100 professionals. Given the tremendous growth of the Awards and increasing global awareness in the last decade, it was inevitable that the programme would start catching the interest of high profile companies. In January 2016, PropertyGuru finalised its acquisition of Ensign Media’s real estate media businesses, giving the Asia Property Awards and the Property Report brands a much bigger international exposure and a wide multimedia platform to showcase the Winners and Highly Commended companies – as well as our event sponsors and partners – across the region. Event sponsors, which may include suppliers, building manufacturers, technology and electronics companies, and real estate associations and agencies, also benefit from increased brand exposure across Southeast Asia while solidifying the trust they had earned from their target consumers, who recognise the Asia Property Awards as the most credible and prestigious awards programme in the industry. The Philippines Property Awards 2017 will be also boosted by the support of official media partner Property Report and the country’s top media outfits and business associations, as well as the network of 16 million real estate consumers of the PropertyGuru Group. The Asia Property Awards are the largest real estate event in Asia, playing host to annual gala dinners for up to 600 C-level executives and leading industry figures in Singapore, Hong Kong, Bangkok, Kuala Lumpur, Manila, Jakarta, Yangon, Phnom Penh and Ho Chi Minh City. The Awards programme has an unparalleled reputation for being credible, fair and transparent, with an independent panel of judges and trusted awards supervisor. 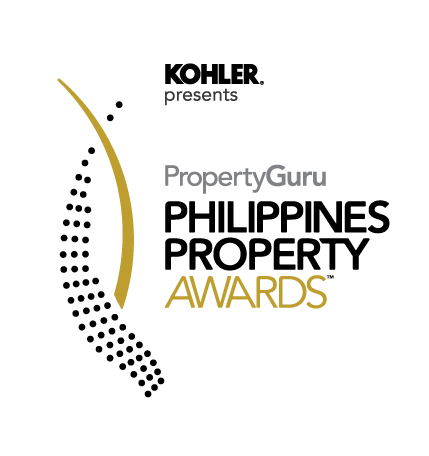 Originally launched by Ensign Media in Thailand in 2005 at the height of Asia’s property boom, the Asia Property Awards in 2016 became part of PropertyGuru, Asia’s leading online property group. Founded in 2006, PropertyGuru Group is Asia’s leading property media group used by more than 16 million property buyers, viewing over 130 million property pages and generating over 500,000 enquiries for real estate developer and agent advertisers every month across Singapore, Malaysia, Indonesia and Thailand. The Group has a full suite of integrated property media capability, from its original core business in online, mobile and events, to television broadcast (in Indonesia, via an investment and partnership with EMTEK), and a recent acquisition of print and events businesses, under the brand names of “Property Report” and “Asia Property Awards”.